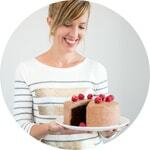 Every December, I pick a holiday theme and publish a week’s worth of recipes around that theme. This year, it’s all about tiny sweets! I love tiny desserts because small portions mean you can sample more! It’s also a theme that provides a lot of possibilities. 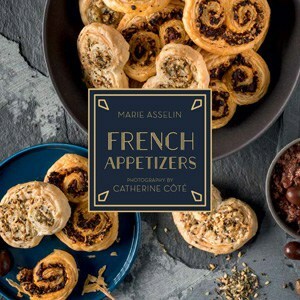 This week, I’ll be sharing creative recipes to make memorable candies, cookies, pastries, and even a tiny pudding that makes for a welcome change of pace when you’ve had one too many cookies (you know that day will come). The first recipe I’m sharing is a classic of mine: Salted Butter Caramels. 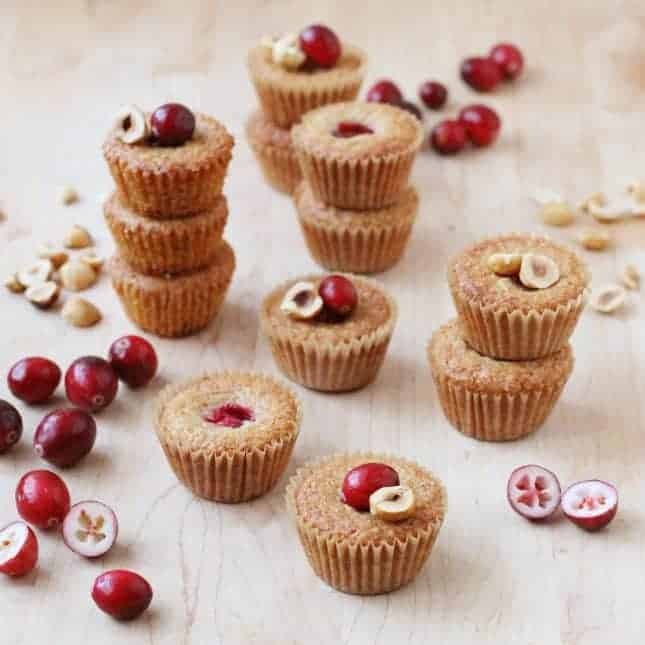 I’ve been making these irresistible treats for years because they’re such a great gift! 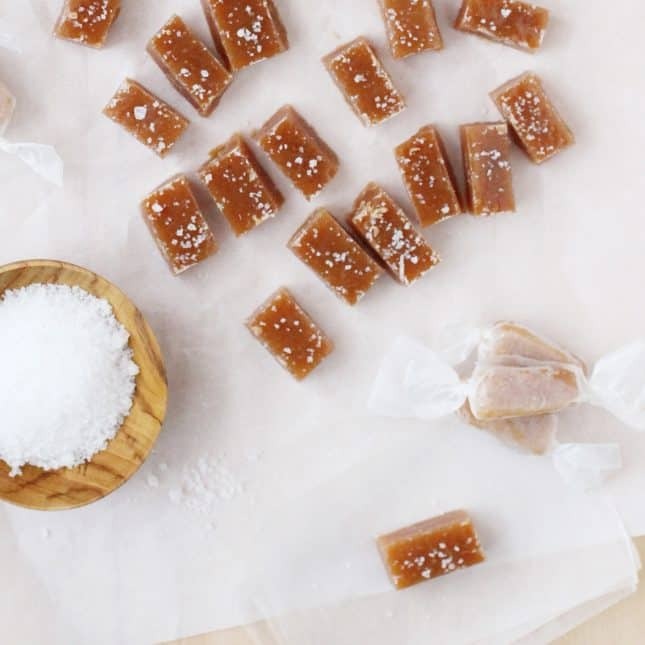 Making salted butter caramels can seem like an intimidating task, but if you have the right equipment—specifically, a candy thermometer and a heat-resistant spatula—and you’re willing to be glued to the stove for a few minutes while the caramel boils, you’re in for an amazing treat. 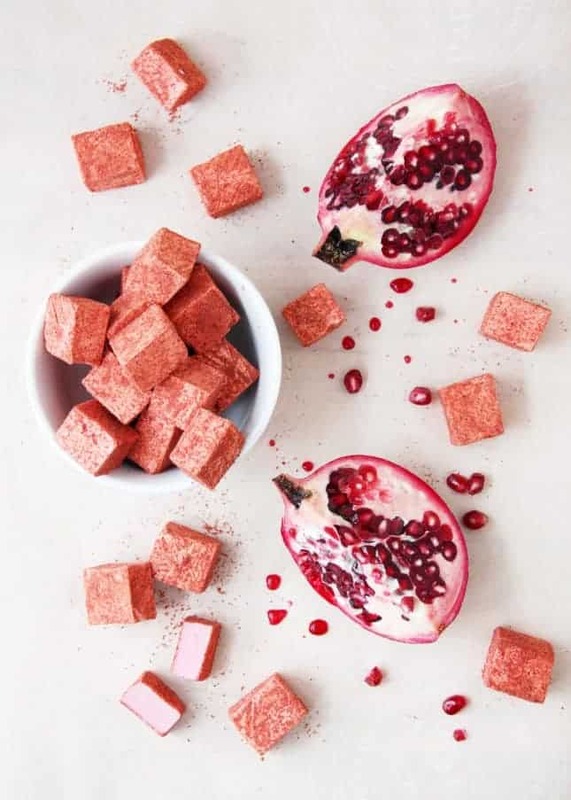 Useful pointers about candy thermometers: I’ve gone through many over the years, and you should know that nifty digital thermometers usually don’t hold up to the task of candy making, even when they are sold as such. I loved the idea of a clear display that allows you to see exactly which stage you’re at, but after busting two (expensive) digital thermometers, I’d advise you to pass. I’ve also gone through a glass candy thermometer (it shattered on the ceramic floor—that time was my fault), but I didn’t like it much because I found it hard to read since the steam often covered the display. 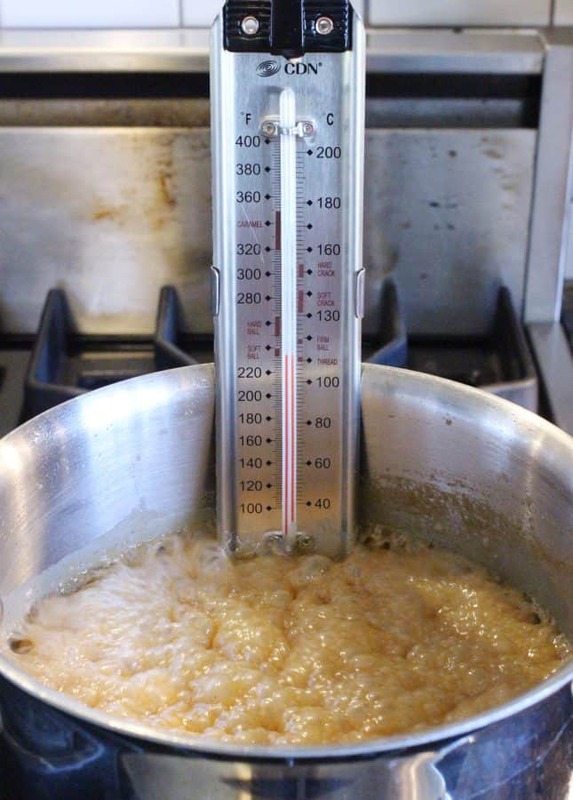 So, what kind of candy thermometer should you get? A good old stainless steel, analog model. They’re sturdy, reliable, and inexpensive. I bought mine two years ago, and I haven’t looked back! One cool thing about these salted butter caramels is that you can make them softer or harder depending on whether you prefer a gooey caramel that sticks to your teeth or one that slowly melts in your mouth. The difference between the two? Only 12 degrees! Soft caramel is ready at 248°F (120°C), whereas hard caramel (that you can still cut with a knife) sets at 260°F (127°C). Caramels cooked to 260°F (127°C) are harder and slowly melt on the tongue. 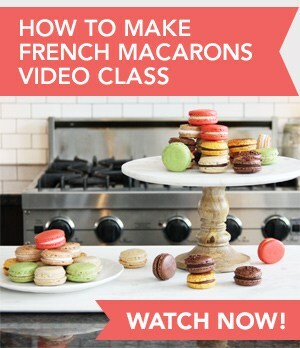 Use a large, heavy-bottomed stainless steel saucepan and a heat-resistant spatula. Caramel gets extremely hot so those are the best tools to handle it safely. Gather and measure out all the ingredients you need BEFORE you get started. Make sure you can stay by the stove for 20 uninterrupted minutes—you should never leave bubbling caramel unattended. Resist stirring as the caramel cooks—this will keep your candy free of crystals. Wear an oven mitt when stirring the cream into the cooked sugar. That’s the safest way to do it since the hot steam will rise and the mixture will bubble up considerably. 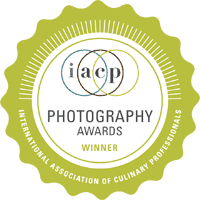 Use the highest-quality ingredients you can find and afford. The quality of butter, vanilla, and flaky salt makes a huge difference in the result you get. Finally, relax! You’ll probably be nervous the first time you make these salted butter caramels, but once you’re done, you’ll realize how easy they are to make. And then you’ll find yourself making batch after batch! 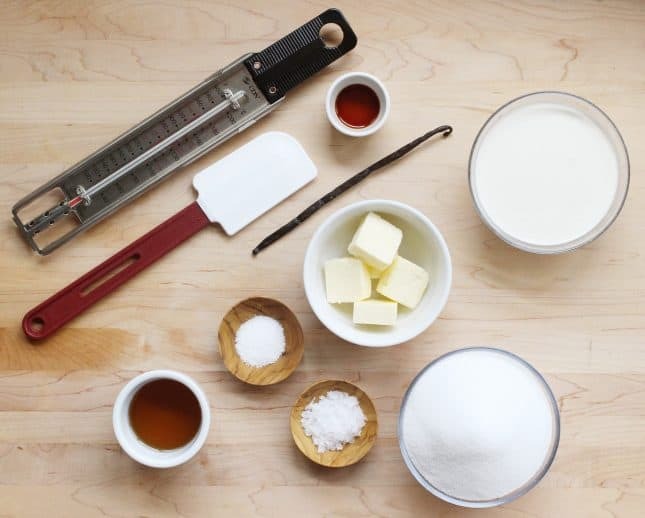 The tools and ingredients to make Salted Butter Caramels. Makes about 80 caramels (1 x 0.75-inch / 2.25 x 2-cm pieces). A detailed how to walkthrough to make irresistible Salted Butter Caramels. 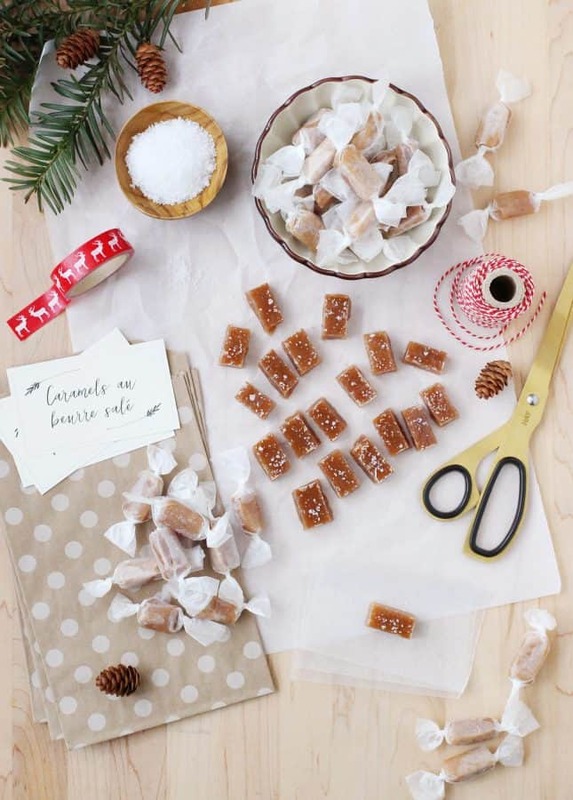 These sweet and slightly salty candies make for the perfect homemade gift! Lightly butter or grease the bottom and sides of an 8-inch [20-cm] square baking pan, then line with parchment paper, making sure to leave some overhang (which will help you pull the caramels out of the pan, later on). 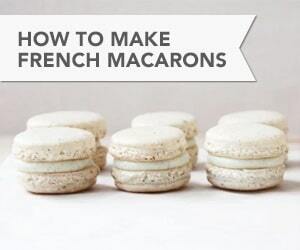 In a small saucepan, combine the cream, butter, vanilla extract, vanilla bean pod and seeds, and fleur de sel. Heat over medium-high heat and bring to a slow boil. Remove from the heat, cover, and set aside. In a large, heavy-bottomed saucepan, combine the sugar, corn syrup, and water. Heat over medium-high heat, stirring occasionally until the sugar is dissolved. Boil, without stirring but gently swirling the pan occasionally, until the mixture is a nice golden caramel color. Swiftly the vanilla bean pods from the cream mixture and, using a heat-resistant spatula, carefully stir the cream mixture into the caramel – the mixture will bubble up and hot steam will come out, so pour slowly and stir constantly. Clip the candy thermometer to the side of the pan, making sure it dips deep into the caramel. Continue simmering the mixture until it registers 248°F (120°C] for soft caramel, or 260°F (127°C) for hard caramel. Immediately remove from the heat and pour into the prepared pan. Set the pan on a rack, let cool for 10 minutes, then sprinkle lightly with fleur de sel, or the flaky salt of your choosing. Let the caramel cool completely. 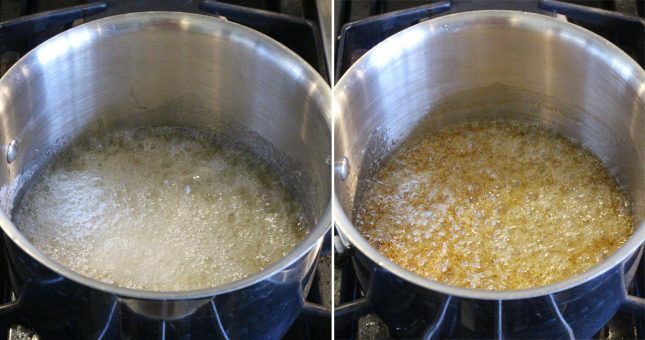 Left: Right after pouring the caramel mixture into the pan / Right: 10 minutes later. At this stage, you can cover the pan with plastic wrap and store the caramel in the fridge for a few days. Make sure to return to room temperature at least an hour before cutting, because the caramel will harden in the cold and be more difficult to cut right as it comes out of the fridge. To cut the salted butter caramels: Run a very sharp knife around the edge of the pan. Using the overhanging parchment paper, pull the caramels out of the pan and set onto a cutting board. Peel the parchment paper off of the sides of the caramel, then use a very sharp knife to cut the caramel into pieces. To make cutting the salted butter caramels easier, lightly butter or grease the blade of the knife, buttering or greasing the blade again when it starts to stick. If you made soft caramel, cutting it into pieces should be easy; if you made hard caramel, you’ll need to slowly and firmly ease your blade into the caramel. Hard caramel may break sometimes, creating uneven pieces. 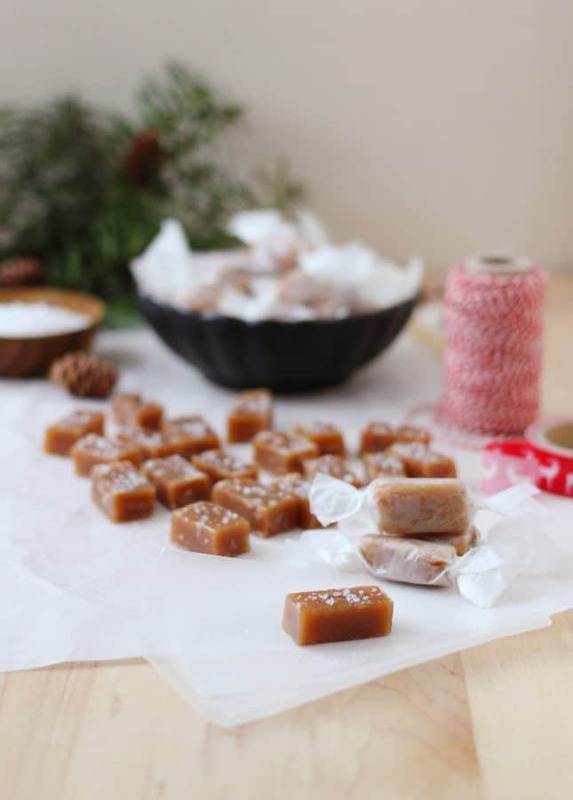 It’s all part of the charm of homemade caramel candies! 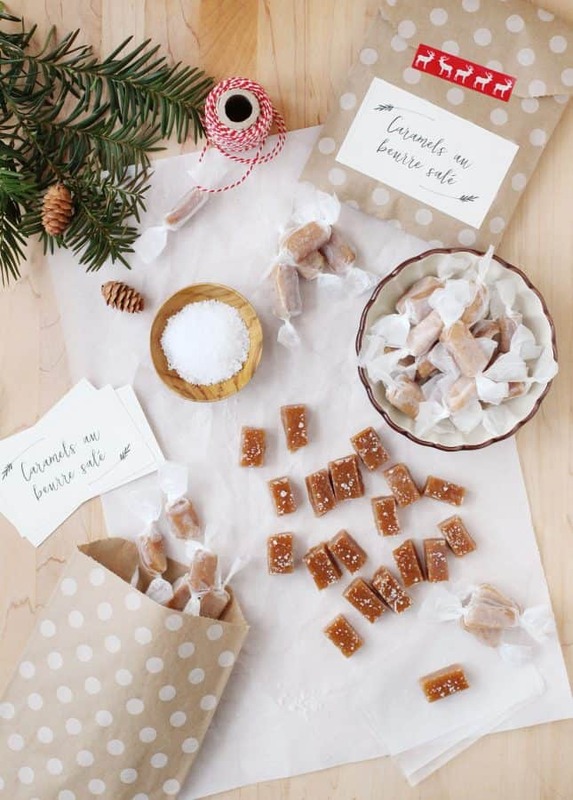 Wrap the individual caramels in small pieces of wax paper. 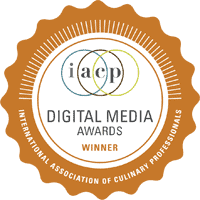 (Salted butter caramels will stick together if left unwrapped.) Keep the wrapped salted butter caramels in an airtight container in the refrigerator for up to a month. Though it may be difficult to plan for a caramel craving, you should ideally take them out a while before eating to soften. If you give the salted butter caramels as a gift, note that they can be kept to room temperature for a few hours without a hitch. If you can find top quality sea salted cultured butter, go ahead and use it, but omit the ½ tsp (2 ml) salt you are required to add to the cream. 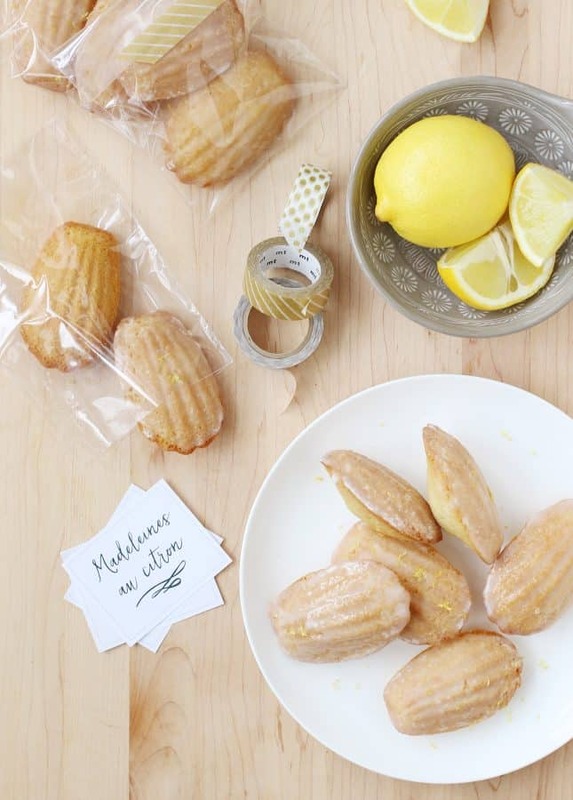 (Fine examples of top quality salted butters are the French Bordier, L'Échiré, or Camargue varieties, but you can also look for local equivalents, such as butters made by artisan producers. Goat milk butter is also a great choice! 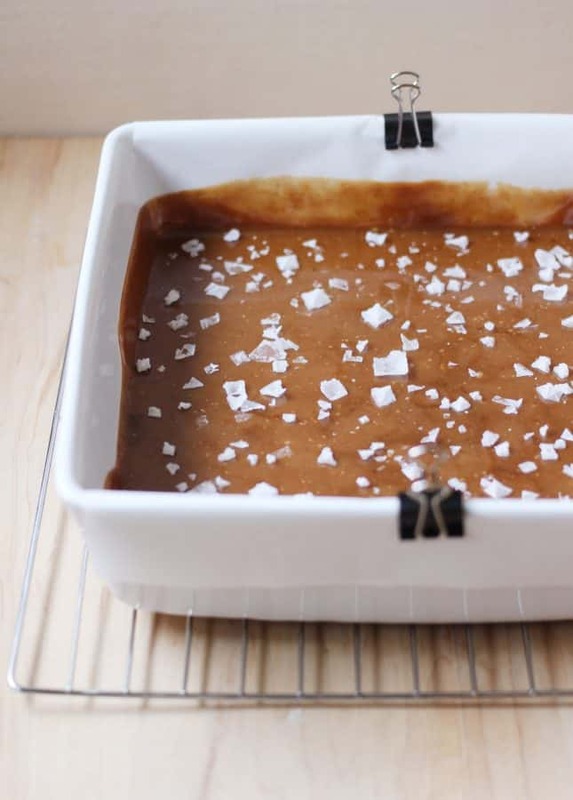 If you use salted butter, you should still finish the caramels with flaky salt once the mixture has settled into the baking pan, so you get that elegant finishing touch. If you don't have maple syrup on hand, you can substitute rice syrup, golden syrup, or corn syrup. The color of the caramels will vary slightly depending on the syrup you use.